This interview was conducted during January 2014 as past of a student’s research thesis for a cultural anthropology degree. Cultural diversity and an agreeable climate (no snow to shovel). How long have you been an astrologer? Three year diploma course at the South African College for Astrological Studies in Johannesburg and further studies at the Faculty of Astrological Studies, London, England. Why did you become an astrologer? When I was at school we did a project on the solar system which had a side topic of astrology. Working on that I found there was a great affinity between myself and my Sun sign and I started to read more books which began a life long interest. Does anyone in your family practice astrology? My late mother dabbled in astrology, my sister reads Tarot cards and my grandmother was a tasseographer. I practice western tropical astrology. Is this how you make a living? Supplementary incomes? It is how I make a living. I offer personal astrological consultations including general astrology readings, children’s astrology, conception timing and business names. I teach astrology classes on four levels including beginners and intermediate, natal charts, forecasting and synastry (relationship work). I lecture at astrology conferences. 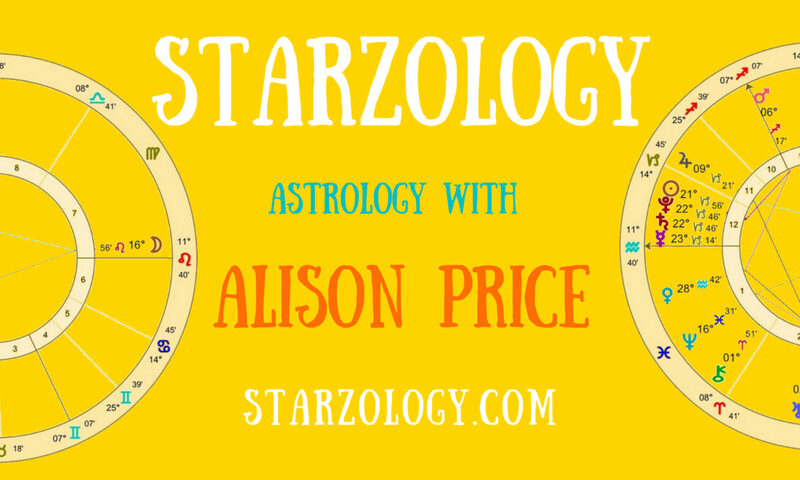 I co-host a fortnightly astrology podcast at Axis Astrology. I also sell ebooks, issue a monthly eNewsletter, write published articles and content and host this astrology blog. I host community meetings in the downtown city for Astrology Vancouver. Can you think of a time when your predictions changed someone’s life dramatically? Tell me about it. How do you make your predictions? I use four forecasting techniques; transits, solar returns, secondary progressions and solar arc directions. Transits are where the planets are now such as Full Moon. A solar return is the exact time the Sun returns to the place it is in your birth chart and a new chart is cast for that year and has an effect for one year only. Secondary progressions is a symbolic forecasting method which correlates between one day as equalling one year of life and using the planet’s positions for that year. Solar arc directions is another symbolic forecasting technique where the motion of the Sun (arc) since your birth is translated into yearly movement for the whole chart. What do most of your customers come for? In consultations it is love life dilemmas, career change/launch timing and elementary school children’s readings. For students wanting to learn it is basic understanding of astrology and how to read a chart. Astrologers used to be vital to the decision-making process of many rulers; do astrologers still have such power? Why do you think this? The most recent well know people with personal astrologers were probably Ronald Reagan and Diana, Princess of Wales. Both of these people had astrologers but were berated for doing so. It seems to us in the astrological community, that some current leaders actually do consult astrologers but do not do so publicly. Clearly not everyone does but many do as seen by decisions made. This is also the case for business leaders. The examples I cite are the launch of Facebook (at a time when astrologically financial decisions would not go in their favour) and the stock price did not reach the heights they had thought. On the other hand, the recent launch of Twitter (at a time when astrologically financial decisions would favour a start) showed that their stock price outstripped expectations and rose to unbelieveable heights in the days immediately after the launch of the Twitter IPO. Do you ever encounter people who think astrology is nonsense? What do you tell them? There are usually two types of people who dislike astrology, the scientists who say astrology can’t be proven therefore it does not work and the religious arm who say only God can predict events. In both cases there is not much you can say to defend astrology. I usually do not debate astrology with those who do not believe in it as it seems such a waste of time. However, if pressed my response is that you can’t surf into the shore whilst the tide is going out. The Moon creates the tides. This is an example of how you would be better off working with the planetary energies than against them. Do the planets and stars affect only humans or are animals impacted as well? Actually astrology affects many things including humans, animals (both pets and livestock), plants (farmers plant by the Moon), inanimate objects (cars, homes, computers etc. ), business launch dates (IPO’s), cities and countries. Everything which has a start date has an astrology birth chart. What do you see as your role in current society? I offer astrological insights for those who are enlightened enough to appreciate them. Individuals with closed minds do not approach me at all. I believe in Darwin’s theory of survival of the fittest and that those people who open their minds to astrology will be fitter than those who decline. I do not push astrology onto others, they seek me out. I never bring up the subject of astrology first or discuss it openly until the other person has broached the subject. Whether or not one believes in astrology is a personal view and I do not see my role as a preacher for astrology. When the student is ready the teacher appears. Do you feel like you’ve found your niche in the city in which you reside? I don’t think the actual city matters anymore because of the internet. Most of my clients do not live in my city. Would you consider astrology a religion? No, I consider it an art. Are you part of any astrology groups or organizations? Yes, I am a past board member for Astrology Toronto, I am the past president (2012/2013) of the Fraser Valley Astrological Guild (Vancouver). I am a current board consultant for the Canadian Association of Astrological Education (CAAE). I run the Astrology Vancouver city meetup group. What types of astrology groups / organizations are available in your city? Astrology Vancouver and the Fraser Valley Astrological Guild. Astrology Vancouver is a social group which meets every second Wednesday and supports the downtown Vancouver astrology community and provides astrology conversation coffee meetings about many facets of astrology for astrologers. The Fraser Valley Astrological Guild hosts monthly evening talks and events. Are there many astrologers in your city? I believe about five full time and thirty part time.